Turn slight left onto Consulate Dr.
Take the US-17/US-92/US-441/FL-528 exit, EXIT 254, toward Orange Blossom Tr. Merge onto US-92 W/US-17 S/US-441 S/S Orange Blossom Trl via the ramp on the left. The destination is approximately 1.38 miles on the left. Take EXIT 4 toward US-17/US-92/US-441/Florida Mall. There's nothing like a good shower after a long journey behind the wheel. Acme Truck Stop has recently installed 4 new shower facilities. Along with the purchase of a shower, we offer a towel, washcloth, and soap. We also offer commercial laundry with coin-operated machines. 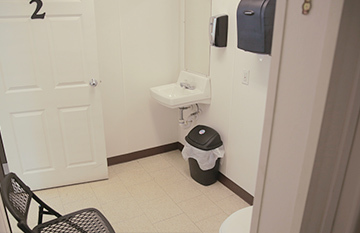 These facilities also are located near the parking area for the convenience of truckers. Showers are $10 per person. Everyone likes to relax in a pleasant lounge after a long day of work. Come and enjoy this experience in our living room with furniture, flat-screen TV and pool table. You also have access to a printer, scanner, copier, fax. Bring your laptop and enjoy Wi-Fi everywhere in the building, including the restaurant, shops and even in the comfort of your truck in the parking lot. 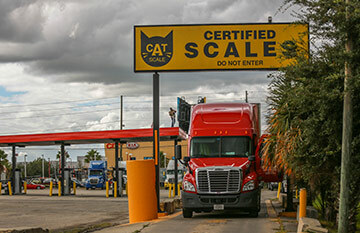 ACME Truck Stop has the only CAT scale in Orlando, FL serving the Orange County Convention Center. CAT scale provides the professional truck driver a reliable, safe, accurate, and certified weight. In the trucking business, it is highly important that truckers weigh and record the weight of their truck and trailer unit. We will guarantee the highest quality at a fair price. When you are on the road, it is nice to take a break and enjoy a home cooked meal. Come enjoy a sit down meal at our quaint Red Rooster Diner. We offer full breakfast, lunch, and dinner menu comprised of fresh soups and salads, meatloaf, barbeque ribs and even tender pork chops. Drivers can call in advance to make reservation for parking in a designated area. We have seven reserve spaces located in close proximity to the main building. The cost is $22 for 24 hours. If you are looking for a place to park, rest, relax and enjoy a meal, swing by our Truck Stop. You will find everything you need and more to make your stop worthwhile. Parking is open 24 hours with security guards. 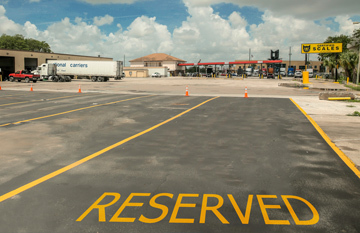 Our parking area is large enough to accommodate 120 trucks. We offer Diesel and Bulk DEF at 4 high speed diesel lanes with bays wide and sufficient for modern equipment tractor trailer height. With large flow lanes, double tanks and low flow for small trucks, drivers will be sure to get in and out of our filling bays quickly and efficiently. The onsite CB shop sells and repairs most brands of CB radios including Firestik, Francis, k40, Wilson, and many others. It carries road king and astatic microphones along with bearcat scanners. Come check us out, thank you! Here at ACME Truck Stop, we value the time of our customers and ensure your transactions are handled in the most efficient way. We accept most fleet cards as well as cash, fleet checks, visa, master, and discover cards. Our high-speed network has two truck stop scanning systems (TRANSFLO and TripPack) providing fleets of all sizes same-day access for document delivery. Acme Truck Stop is the only full service truck stop in metro Orlando, FL. 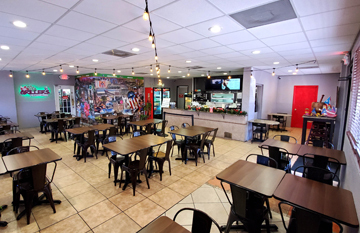 situated right off the Florida Turnpike at route 441. Acme Truck Stop offers truckers 24 hour parking with security guards and a convenient place to refuel, rest and shower in newly appointed shower cabins. The truck stop has over 120 parking bays with 4 diesel fuel station and offers bulk DEF at the pump. We also offer truck repair services and round the clock Heavy Duty truck roadside assistance. 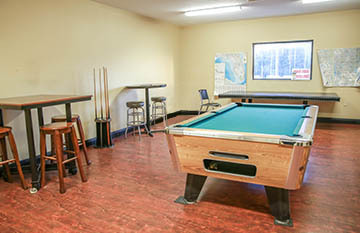 There is a restaurant and lounge on site to meet fellow truckers and relax with a game of pool. For credit worthy customers, we can facilitate fleet accounts where we offer discounted pricing. Please contact our General Manager, James Bloodworth, or fill out the application form below.